Size: 19.5 x 30 cms. 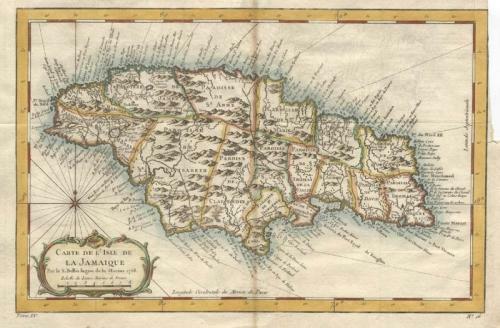 A charming map of Jamaica that contains much detail of the topography. The map is in very good condition with a typical piece of margin missing to allow the map to fold into the original atlas.